iPad Sale!! 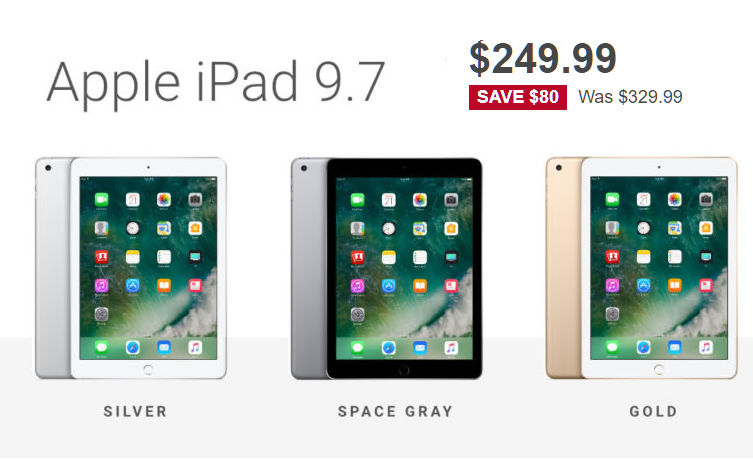 32GB Apple iPad 9.7" WiFi Tablet $249 (Reg $329), 128GB iPad $329 (Reg $429) + Free Shipping. Lowest price they've been. 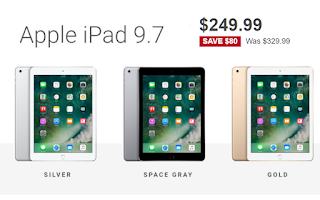 Great deals on iPads!